Home buyers want the latest in technology, and they want smart homes. Nest Labs has pioneered popular and cost-effective solutions that will allow you to offer homes that your competition doesn't, with multiple ways to help you differentiate yourself among tech-savvy homebuyers. Join Amy Albert, Editor-In-Chief of Professional Builder , for this one-hour webinar that will showcase an in-depth preview of new smart home innovations that provide building firms with opportunities for additional revenue growth. Gene LaNois, general manager of Professional Channel at Nest Labs, will give webinar attendees a first look at new product introductions from Nest Labs that are the next step in home automation, including: a completely redesigned Nest Protect smoke and CO alarm; an all-new Nest Cam WiFi video camera; new software features for the Nest Learning Thermostat; and a new Nest App that pulls everything together. LaNois also will discuss Nest Labs newly introduced Safety Rewards program, including Nest Protect, which can reduce homeowners’ home insurance premium. Register here. Nest’s mission is to create a home that’s thoughtful - one that takes care of itself and the people inside it. The company focuses on simple, beautiful and delightful hardware, software and services. The Nest Learning Thermostat™ and Nest Energy Services keep you comfortable and address home energy consumption. The Nest Protect smoke and carbon monoxide™ alarm helps keep you safe while Nest Cam™ keeps an eye on what matters most in your home. The Nest Developer Program, Works with Nest, makes it possible for Nest devices to interact with other products in your home to do even more. For more information, visit www.nest.com. Gene LaNois brings more than two decades of experience in HVAC sales, distribution and installation to his current role at Nest Labs, overseeing business and partnerships associated with professional installers globally. Earlier in his career, he developed an exclusive line of private label products that included thermostats, IAQ building management controls and other specialized HVAC, hydronic and mechanical categories. He also was the owner and president of Walrus Heating & Cooling, a mechanical contracting and installation company. His uniquely comprehensive background gives him an understanding of all aspects of the professional channel. 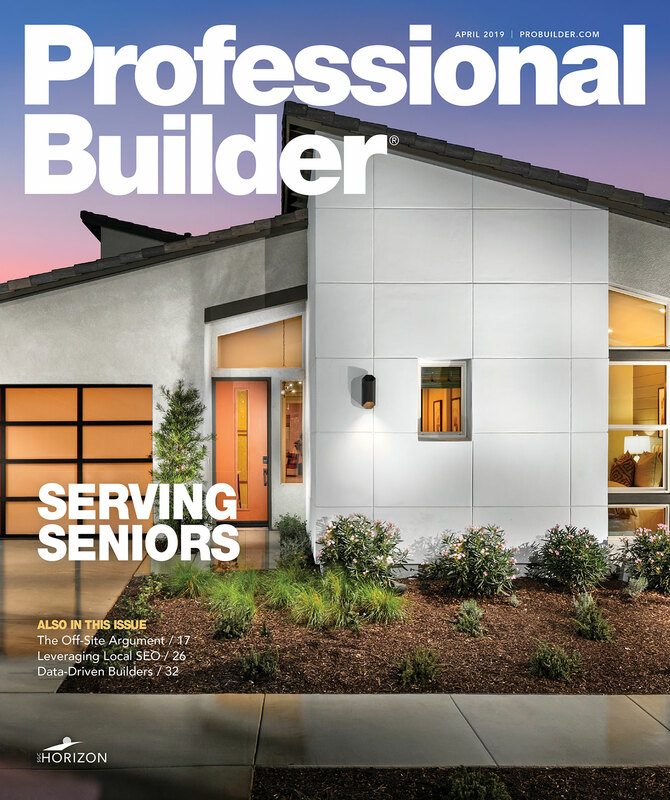 Amy Albert is editor-in-chief of Professional Builder. Previously, she was chief editor of Custom Home and design editor at Builder, where she covered all aspects of the design beat. Amy arrived at writing about the built world through cooking, as kitchen design editor at Bon Appetit and before that, at Fine Cooking, where she shot, edited, and wrote stories on kitchen design. Amy studied art history with an emphasis on architecture and urban design at the University of Pennsylvania. She is the recipient of several awards for editorial excellence and has served on several design juries.